Popular actor, Odunlade Adekola shared a new picture on his social media page and captioned it, Live your life the way God has ordained you to. Always remember to be yourself all the time. ASA’RE TETE KO NI KOJA ILE. God will answer all your prayers. he popular cross dresser known as Idris Okuneye aka Bobrisky might have irrevocably crossed the line with many Yoruba actors for publicly insulting one of their idols in the person of Odunlade Adekola, after Odunlade took some swipes at the male Barbie for being a male trying to pass himself off as a female. 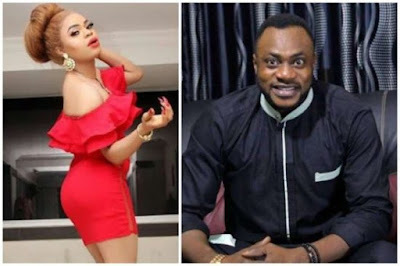 Odunlade share a video which spread like a wild fire mocking his celebrated lifestyle as a male trying to live as a female.the actor made all sorts of gestures to mimic Bobrisky’s mannerisms and joking that the cross dresser has truly brought to fore the mantra that whatever a woman can do a man can do better. Yoruba actors strongly objected to the disrespect shown to the Glo ambassador by the ‘nobody’ Bobrisky. In fact one would have thought Friday, January 25, 2019 was the actor’s birthday as many posted his picture on their Instagram pages with strongly worded messages to Bobrisky. Actress, Motilola said, “If you keep quiet about this, we will all be here when he will come for our fathers. Ferrari Tonia Okoro didn’t hide her feelings either, I respect you and if anyone is brainless, it’s the one who doesn't know his/her gender,”. Posting the picture of the actor she said, “Uncle Odun is highly respected in our world. He’s humble, jovial and respects himself. He is the Ijele of the Industry. You come for him, you come for us. @bobrisky222 you killed yourself coming for him. So, because you shake waist and cross dress gives you the visa to insult him? A maa ba tie je”. Bobrisky has since taken down his post, probably after realizing he has stepped on the toes of many of his fans but none of the Yoruba actors who responded have taken down their post.